Decades after the Pentagon and Veterans Affairs Department developed separate electronic health records for military personnel and veterans, here’s how the Navy transfers potentially millions of pages of sailors’ and Marines’ medical files to VA: It prints them out on paper and mails them via the U.S. Postal Service, Nextgov has learned. At the same time, VA has launched a massive bulk scanning operation to copy 70 million pages a month of the department’s own paper files, including service treatment records, into electronic format as PDF files. VA and the Defense Department reached an agreement in February for Defense to bulk scan all such treatment records as of Dec. 31 for electronic transfer to the VA, but that process still includes printing and mailing paper records. Karen Roberts, a Defense spokeswoman, said Defense sends millions of fields of data to the VA daily for both healthcare and benefit adjudication purposes. She did not answer a question from Nextgov about whether the Army and Air Force also print out and mail copies of electronic health records to the VA. The labor intensive and costly efforts to transfer electronic health records between the two departments contributes to the lengthy backlog of disability claims at VA and illustrates the longstanding need for the departments to integrate their health records systems, critics say. A service treatment record contains all medical information on an active duty service member, from his or her first physical examination upon entering service through their final physical before they are discharged from service, along with clinical notes on all consultations and treatments received in the interim. Depending on a service member’s time in uniform and medical conditions documented, a single STR can run to thousands of pages. With the Defense Department discharging 300,000 people a year, that means officials must transfer tens of millions of pages of medical records to the VA, an industry source familiar with the process said. VA needs complete treatment records to evaluate disability claims. Currently it takes the department 125 days to retrieve STRs from Defense, considerably extending the time required to process a claim. “THE BUREAU OF MEDICINE AND SURGERY (BUMED) HAS ESTABLISHED THE NAVY MEDICINE RECORDS ACTIVITY (NMRA) AS THE CENTRAL SITE FOR COLLECTION OF ALL STRS. THE PURPOSE OF NMRA IS TO PERFORM A QUALITY ASSURANCE REVIEW ON ALL STRS TO ENSURE COMPLETENESS PRIOR TO FORWARDING THE STR TO THE VA. EFFECTIVE IMMEDIATELY AND UNTIL 31 DECEMBER 2013, ALL STRS WILL BE MAILED TO NMRA AT THE FOLLOWING ADDRESS: NAVY MEDICINE RECORDS ACTIVITY (NMRA), BUMED DETACHMENT ST LOUIS, 4300 GOODFELLOW DRIVE BLDG 103, ST. LOUIS, MO 63120. The address is the location of VA’s national records management center. The message directed that the STR package mailed to St. Louis include information printed from AHLTA and the Composite Health Care System, which contains pharmacy and lab information. Another industry source with extensive military background said it makes no sense to send paper rather than electronic files. The fact that the military is doing so illustrates the need for a single electronic health record for both Defense and VA. As a minimum, the Navy should be able to convert the AHLTA files to a PDF, easily read by any computer system, he said. VA, which processed more than 1 million disability claims last year, is awash with paper files, and set up a bulk scanning system in September 2012 to convert 165 million pages of veterans’ records into tagged and searchable digital files between then and July 2013. Defense agreed with VA on Feb. 22 to send complete — and certified — STRs in searchable PDF files by Dec. 31, using the Healthcare Artifact and Image Management Solution, which was originally developed to store, manage and provide access to medical imagery. An amendment to the 2014 National Defense Authorization Act, expected to pass the Senate this week, gives Defense another six months to deploy HAIMS, an indication the system is not yet ready to handle electronic transfer of service treatment records to the VA.
An internal document obtained by Nextgov shows Defense plans to install hardware chosen from a list of 11 manufacturers at the 59 military hospitals and 364 clinics that will handle the bulk scanning of STRs sent to the VA.
Roberts said the services have elected to do the majority of the bulk medical record scanning at central locations and are installing high volume scanners and other supporting hardware. Some larger military treatment facilities may also do bulk scanning onsite. Defense has developed an image repository and placed additional servers in operational areas to improve the response time and synchronize data with the central repository. The internal document Nextgov obtained assumes these hospitals and clinics will have network connections ranging in speed from 100 megabits per second to one gigabit per second to handle the fat STR PDF files. An industry source said only two military hospitals have one gigabit connections — Walter Reed National Military Medical Center in Bethesda, Md., and the Naval Medical Center in San Diego, Calif.
An industry source said the numerous configuration requirements for 11 types of bulk scanners imposes a burden on the small IT staffs of military hospitals and clinics, not to mention the personnel needed to manually feed paper into the scanners. Asked how data will be transferred from HAIMS to the VA paperless Veterans Benefits Management System (VBMS), Roberts answered in the future tense. She said that when a veteran files a disability claim, VBMS will automatically query another VA system, which in turn will query the HAIMS data repository for the certified complete service treatment record. If it is available, the VA system will retrieve and store the treatment record, to be viewed later by a claims adjudicator using VBMS. Meagan Lutz, a VA spokeswoman, said the interface with HAIMS was integrated into VBMS on Monday, Dec. 16. She said it will be activated after end-to-end system integration testing is completed, which VA estimates will be finalized later this month. The government shutdown did not stop the official opening Oct. 1 of the Defense Health Agency, a major streamlining of military medicine that has been in the works for three decades and signed into law earlier this year. “This day has been a long time in coming, and represents a major milestone in the history of the department and in military medicine,” Dr. Jonathan Woodson, Assistant Secretary of Defense for Health Affairs, wrote in a message to staff. Air Force Lt. Gen. Douglas Robb heads the new agency, which is to streamline health care among the Army, Navy and Air Force medical departments. The agency is charged with creating common business and clinical practices for the services and integrating functions that each has done separately, such as purchasing medical supplies and equipment. The military health system provides medical care on the battlefield as well as to service members, their families and military retirees at home. It is one of the largest health care systems in the world with 56 hospitals, hundreds of clinics and 160,000 employees. Some 2,500 babies are born each week into the system, which has an annual budget exceeding $50 billion. Like in the civilian sector, military health care costs have increased faster than inflation. Military health costs have more than doubled in the past decade, increasing from $19 billion in fiscal 2001 to $51 billion in fiscal 2013. 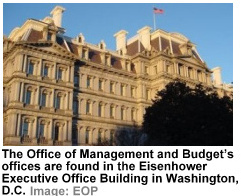 The category now accounts for more than 10 percent of the department’s budget. That figure is expected to grow, with the cost reaching $77 billion by 2022, according to the Congressional Budget Office. To start, the Defense Health Agency is establishing a “shared services” model for managing and overseeing the operational work for health information technology, medical logistics, pharmacy operations and facilities planning for the services. In addition, the agency will manage the TRICARE health plan for the military’s 9.6 million beneficiaries. TRICARE Management Activity’s 800 workers are now part of DHA. Approximately 500 Army, Navy and Air Force staff – mostly IT professionals – have also moved to the new agency. Defense health officials estimate the savings from these “shared services” will total at least $3.4 billion in the agency’s first five years. They plan to submit their final report to Congress on implementation objectives, milestones and estimated cost savings later this month. By Oct. 1, 2015, the agency is to be fully operational, and will also incorporate management and oversight of additional shared services, to include contracting, medical education and training, public health, resource management, and medical research and development. New shared services may be added over time, Middleton added. Creating the DHA is just one of a list of things that Defense officials are doing to try to both improve the readiness of the force and slow the growth in military health costs. “It will, hopefully, bend the curve a little bit,” Middleton said. While the reorganization is a big change for the overall MHS and the three Service medical departments, officials believe that the near-term effect for beneficiaries will be minimal, and that – over time – it will be even easier for them to be seen at military treatment facilities, and more convenient to use online services. The idea of creating a single, unified military medical agency or command has been the subject of debate since World War II. Launching the new agency represents the biggest change in the military health system in more than 60 years. Then-Deputy Secretary of Defense William Lynn appointed a Task Force on Military Health System Governance in 2011 to study how things might be reorganized. The task force reviewed different options and endorsed the creation of the agency. Another of the task force’s recommendations that the deputy secretary subsequently directed was to name market leaders to create a unified business plan for each of their respective six multi-service markets – geographic areas where more than one branch of the military operates medical facilities. These multi-service markets are: the National Capital Region in Washington, D.C.; the Tidewater region of Virginia; Colorado Springs, Colorado; San Antonio, Texas; Puget Sound, Washington; and Honolulu, Hawaii. The new National Capital Region Multiservice Market is part of the DHA and replaces Joint Task Force National Capital Region Medical Command in Washington. These “enhanced” markets, as they are known, provide nearly half of all inpatient care delivered in military hospitals, encompass 40 percent of all TRICARE Prime beneficiaries enrolled to a military clinic, and serve as the primary medical training platforms for military medical staff. These leaders, known as multi-service market managers, also have the authority to move medical personnel in a market in order to improve access to care, and keep their medical staffs fully utilized. The goal is to provide as much care as possible within military medical facilities and reduce care sent to the private sector – a step that both improves continuity of care and reduces costs. 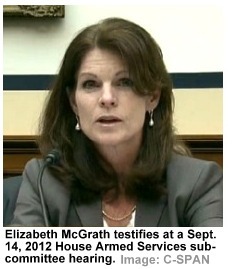 The military treatment facilities are “where we really want to see the patients,” Middleton said. “We think it’s high-quality by all standards,” he continued, “and it’s important for clinicians to see many patients to maintain their skills.” The DHA will provide the managers of the multi-service markets with the data and analysis they need to make good medical and business decisions, Middleton said. “Everything we do is designed to enhance the readiness of the force – the medical force, as well as the fighting force,” he said. The contract for the enterprise service bus meant to connect the electronic health records of the departments of Defense and Veterans Affairs has not been canceled, say military and industry officials, although an industry executive said that funding for it has been reduced. Harris Corp. won a contract in March 2012 to implement IBM middleware connecting the DoD and VA sides of what was meant to be a single EHR system. The two departments’ secretaries canceled the system, known as the iEHR, in February 2013 for cost reasons. At the time, federal officials stressed that work on the ESB would continue and would provide a way for the separately coded and maintained EHRs to communicate. In addition, the ESB is meant to provide a common identity verification function. The federal government leadership is being challenged to cut spending and reinvest in areas with greater opportunity. Review the Federal CIO’s strategic approach to achieve more with less, and learn how to implement and create the infrastructure to support your strategy. Download Now. Since the cancelation, the fate of the DoD-VA integrated program office meant to supervise development of the iEHR came under increasing shades of doubt, also throwing a shadow over the ESB. Recent moves by the Pentagon have exacerbated that doubt–decisions such as creation of a new office within the newly established Defense Health Agency to oversee acquisition of a new, DoD-only EHR, the disappearance of the IPO’s webpage, and the quiet stepping down of Barclay Butler, head of the IPO, in September. During the early fall, it did look like the ESB would become another bullet point in that litany, acknowledged the executive, who spoke on condition of background. But Pentagon officials have lately decided to again support the ESB, the executive said, noting that the requirement for some degree of interoperability between VA and DoD systems hasn’t gone away. “Yes, there are aspects associated with defunding, and we did have some funding cuts, but we have a role to play that people are recognizing,” the executive said. In written answers to questions, the Defense Health Agency said that the ESB has been deployed to six locations, four within the DoD and two within the VA, and that it has a three year authorization to operate. In a testing setting, the ESB sustained a throughput rate of more than 44,000 messages per second, the agency added. “This task order has not been canceled. The DoD and VA are currently working to appropriately align the SOA Suite task order to support the interoperability requirements of the departments,” the agency said. Funding is currently $45.6 million, the agency also said–$25.1 million from the DoD and $20.5 million from the VA.
During a July 10 joint hearing of the House Veterans Affairs and Armed Services Committees, VA and Defense Department officials laid out plans to continue pursuing two separate electronic health record solutions with the ability to interoperate in the “near term.” This plan, according to a congressional source, has the approval of Federal Chief Information Officer Steven VanRoekel. During a May 23 closed-door iEHR roundtable, VanRoekel said he accepted the departments’ plan to develop two separate systems and then “Frankenstein them together,” said the source, speaking on the condition of anonymity. “He said, they can do whatever they want and at the end we’ll make them talk,” said the source. In a recent survey on Federal IT Reform, Senior government IT executives laid out their vision for the coming year, detailing challenges and identifying priorities. To read more about these timely results click here to download the summary today. During the joint hearing, DoD Undersecretary for Acquisition, Technology, and Logistics Frank Kendall’s remarks echoed this plan. “DoD and VA can share integrated records without having the same software to manage those records or to assist clinicians as they manage care,” said Kendall. He said the two departments were committed to “build data management accelerators” this year. “We send a lot of health record information electronically now,” said Assistant Secretary of Defense for Health Affairs Jonathan Woodson. However, said Woodson, the shared information is read-only. By the end of the year, DoD and VA hope to make this exchanged data computable and interoperable, he said. “Most of the information today is not standardized,” said VA Acting Chief Information Officer Stephen Warren. “A key priority for both departments is to standardize electronic health record data and to make it immediately available for clinicians so they have the information they need to make informed clinical decisions for our patients,” added Warren. It is possible that the commercial EHR solution DoD selects will be based on VistA, the legacy EHR the VA is refactoring for its health record modernization, said Kendall during the hearing. 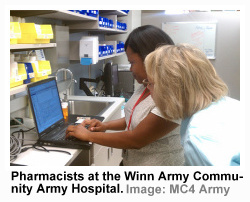 Of the 15 compliant responses to DoD’s request for information on its EHR, three were VistA-based solutions, said Kendall. During the May 23 closed-door iEHR roundtable, industry representatives complained that DoD’s RFI lacked open standards, said an attendee. “They didn’t know what exactly they’re competing on,” said the attendee speaking on the condition of anonymity. The roundtable made it clear that, “contrary to what VA, DoD and IPO have stated, open standards had previously not been developed or made available publicly,” said another source within the House Veterans Affairs Committee. The House Veterans Affairs Committee held a closed-door meeting May 23 to discuss progress toward a VA and Defense Department integrated electronic health record. Officials were “grilled” as lawmakers pressed for answers on the project, said one attendee. “They read McGrath the riot act,” said a source speaking on the condition of anonymity. Defense Department Deputy Chief Management Officer Beth McGrath, DoD’s Under Secretary for Acquisition, Technology, and Logistics Frank Kendall, VA’s Acting Chief Information Officer Stephen Warren, and Interagency Program Office Director Barclay Butler, were among the attendees of the “iEHR roundtable” according to a list obtained by FierceGovernmentIT. As part of ongoing review by the committee, the subcommittee on oversight and investigations queried VA, DoD and the IPO on the challenges hindering iEHR progress. According a committee source only the IPO responded to the committee in a timely manner. Rather than focus on an integrated health record, the IPO is focused on creating a “common information interoperability framework to normalize data,” said the IPO in a written response (.doc) to the committee obtained by FierceGovernmentIT. “Data sharing between DoD and VA, and with other federal agencies and the private sector currently occurs via a collection of data sharing mechanisms that have been developed over the years,” said the IPO. These programs include Federal Health Information Exchange, Bidirectional Health Information Exchange, Clinical/Health Data Repository, Virtual Lifetime Electronic Health Record and 2013 Data Interoperability Accelerators, all of which use different data formats and standards, writes the office.